German-born designer Johannes Boehl Cranau’s studio is in the basement of a converted warehouse close to London’s Dalston Junction station. In an unseasonably hot summer – temperatures tipping over 30 degrees – the subterranean space, and its subsequent shortage of windows, has one advantage, Boehl Cronau says: it is cool. 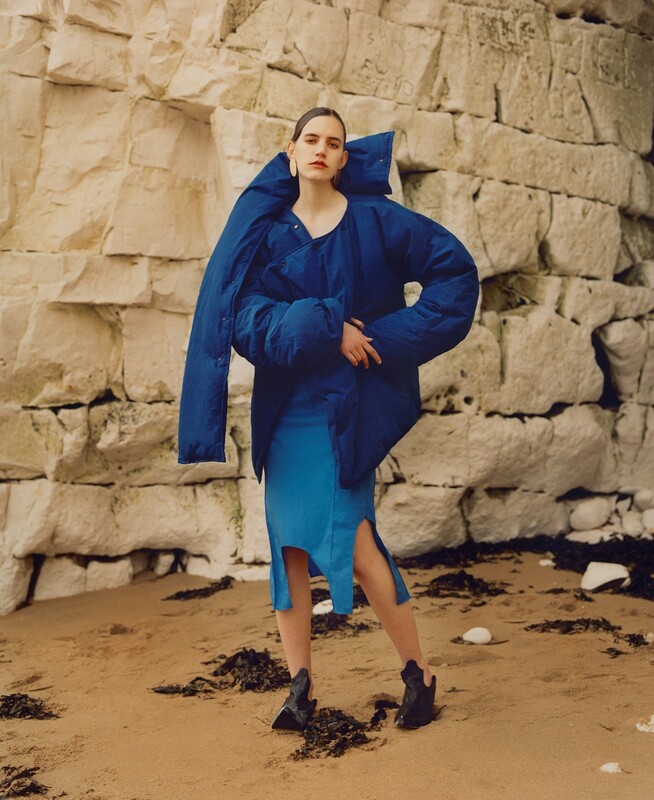 Besides, for now it’s temporary – the designer will be moving to Paris later in the year, the French capital becoming permanent home to his young, almost-eponymous label ioannes. In the clothes themselves, defined by a certain generosity of cloth, he finds an affinity with the excessive spirit of Parisian couture – his most recent collection included amply sized brocade puffa jackets wrapped elegantly around the body like giant scarves and long opera gloves, deemed “puff-sleeved”, which evoked 1980s abundance. Fabric itself remains at the crux of his process – an obsession since childhood, first learnt from a dressing up box which contained discarded pieces of his mother and grandmother’s clothing. “Fashion always had an aspect of play, of dressing up,” he says, of an early realisation of the creative potential of clothing. “I loved the idea that a blanket could become – I don't know – a tent, a cave, a gown, a king’s robe. 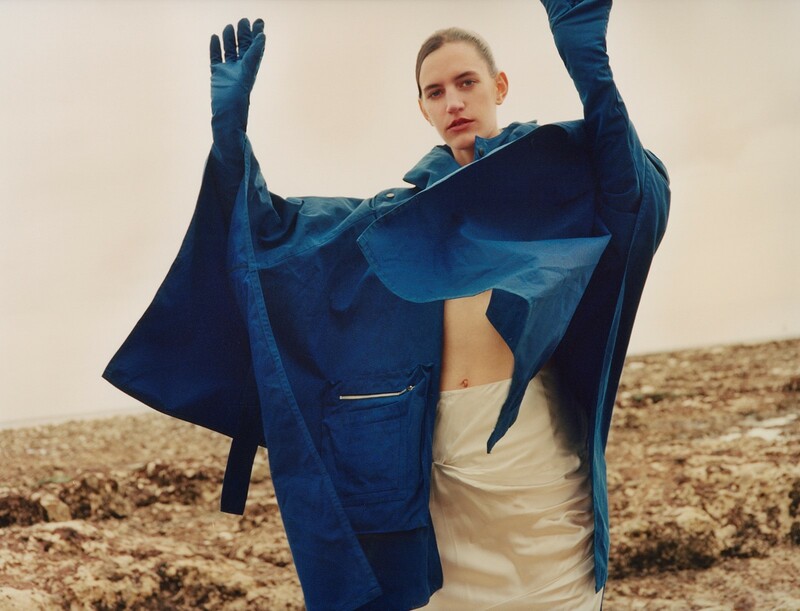 It’s this aspect of fantasy that material can have – I think that’s my continuous story with the medium of cloth.” In these terms, Boehl Cronau deems himself a modern dressmaker, fascinated with what he calls the “gestures” of clothing. He seems to continually ask himself the question: what happens when fabric meets the body? When these disparate references were pulled together, something clicked. 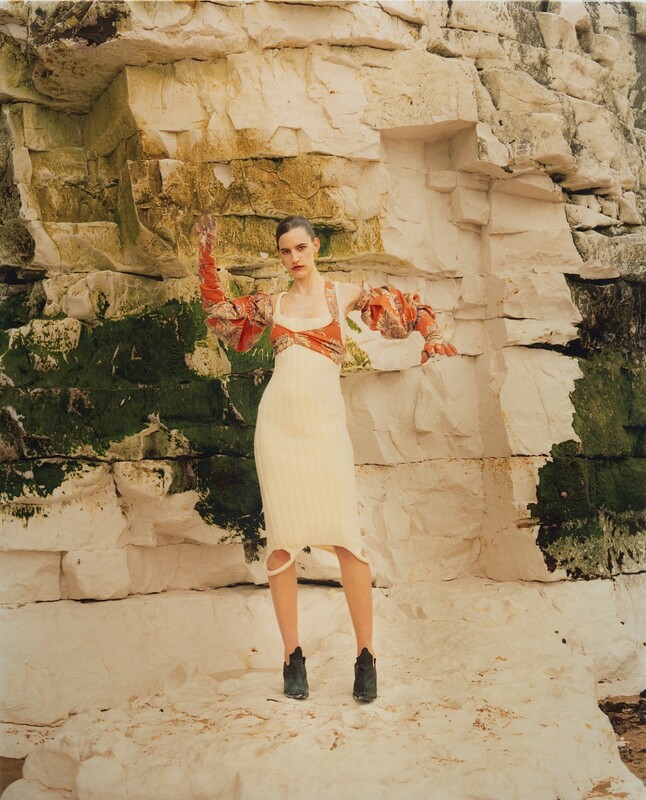 “I became really excited about the process of creation again,” Boehl Cronau says of the A/W18 collection, here photographed by Lee Whittaker in Botany Bay, on Britain’s south coast (“It was about these stylised pieces in a more natural, more raw environment,” the designer says). 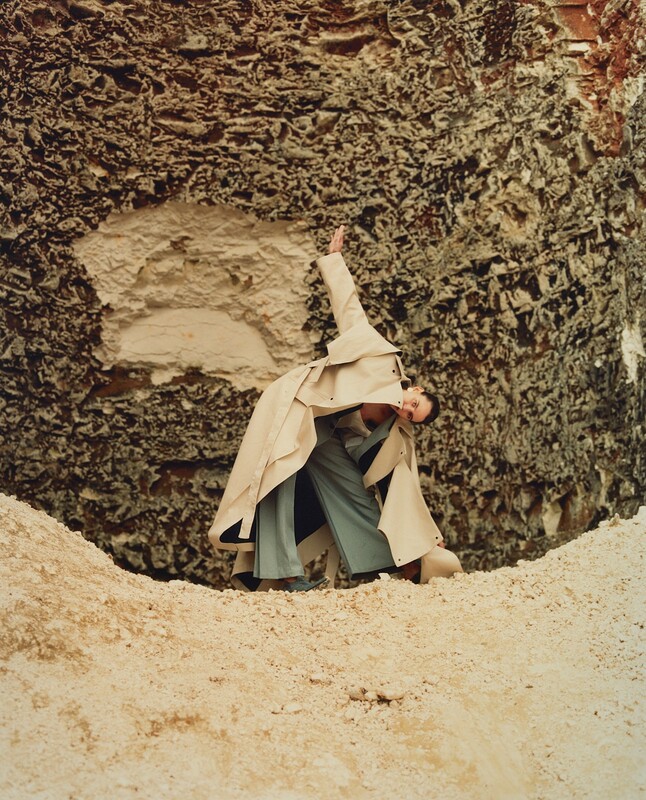 The process itself is as important to Boehl Cronau as the finished garment – part of the reason he chooses to show under ioannes, rather than his own name. Boehl Cronau comes from a heritage of carpenters, and he likens his own enviroment to a workshop or an architectural practice. “I like this idea of, ‘oh, in my practice, we follow these kind of understandings’,” he says. “In fashion it can be self-celebratory. But I kind of like the idea of creating an abstract framework, of following this really rigid agenda.” In these terms, he sees himself as having a job, as a creative director – though in this case, that job happens to be at the helm of his own brand.